Moms are the busiest people we know—their days are jam-packed and often, moms barely have time to take a minute to take care of themselves. 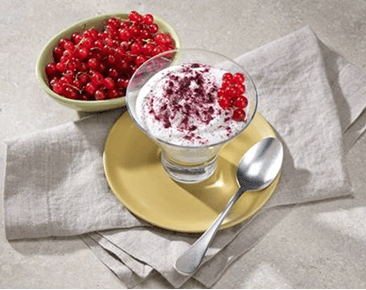 VINIA red grape powder is the perfect luxury-meets-health Mother’s Day gift idea for any mom looking to lead a healthier life. VINIA, a red grape powder, is a revolutionary superfood that offers the benefits of 1,000 grapes or one fine bottle of red wine, without the sugar, calories or alcohol. Just one daily serving of VINIA (400mg per day) helps to promote healthy blood circulation, aids healthy arteries, supports blood pressure (within a normal range) and helps to promote anti-oxidant activity. Moms can easily consume VINIA by mixing it into yogurt, water, smoothies, oatmeal, etc. 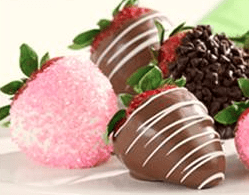 Mother’s Day Assorted Cake Truffles (starting at $19.99) – Light, fluffy cake in the most-craved flavors is mixed with icing and dipped to make it extra delicious. 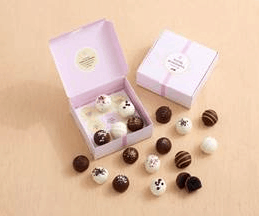 The truffles arrive beautifully packaged in a special box with fun hidden messages to show mom how much you really care. 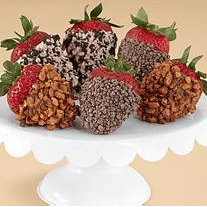 Mother’s Day Strawberries (starting at $29.99) – Juicy strawberries dipped in milk, dark and white, and topped with swizzles, chocolate chips and pink shimmer sugar. The Spice Lab has Gourmet Gift Collections that moms would love to receive. 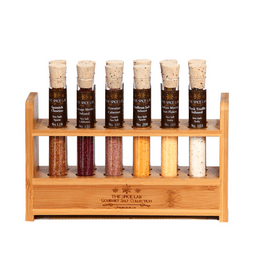 These sampling sets of 4, 6, 11 or 12 test tubes of sea salts, spices or tea in an attractive wooden base of reclaimed Colorado pine or sustainable bamboo. Salt plates and for Moms who love tequila, check out the Himalayan Salt Shot Glasses. And for a sweet treat give Mom a trip to the islands with Island Treasures Gourmet Rum Cakes — sure to be a favorite gift with unique flavors like raspberry and cinnamon pecan streusel. Moms have the World’s Toughest Job which is why they deserve to be celebrated. Whether you’re planning to surprise her with breakfast in bed, a delicious brunch or a day of relaxation, raise a glass to Mom this Mother’s Day. 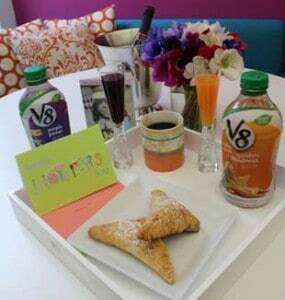 For a guilt-free sip, skip the excess sugar and pair her favorite Champagne or sparkling water with V8 Veggie Blend juices, which contain one full serving of vegetables in every 8 oz glass and are packed with essential antioxidant vitamins A, C and E, plus all four flavors are 60 calories or less. The new juice beverages are now available in multi-serve 46 oz ($3.99) and single-serve 12 oz ($1) sizes at major grocery and C-store locations nationwide, including Target and Walmart. Ensure both ingredients are well chilled, then mix into the glass. Serve cold.